The Maths&Languages workshop of Perpignan (Lycée Arago) participated in the inauguration of the Women in mathematics exhibition (Friday 22nd of September, Lycée Jean Lurçat, Perpignan). 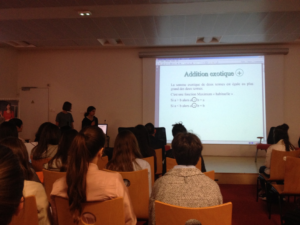 Two pupils of terminale (girls in the 12th grade) presented their research work about Exotic mathematics in plenary session in order to prove that everybody can be interested in mathematics research without distinction as to gender or age. 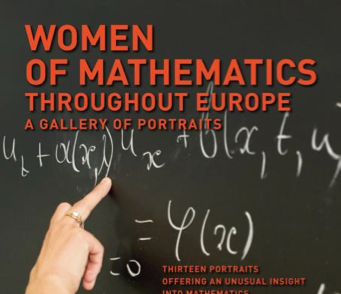 This presentation was very well received by the public so the manager of the exhibition, Sylvie Paycha (mathematics researcher at Potsdam University, Germany), decided to upload the pupils’ work on the exhibition website http://womeninmath.net/.